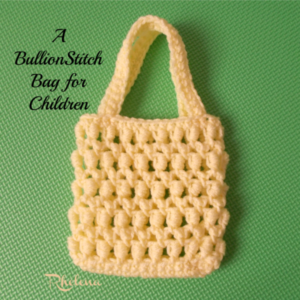 This cute bag is perfect for children’s items, or for your keys and phone. It’s crocheted in the bullion stitch to give you a nice lace and texture. You will need Red Heart Super Saver yarn and an H crochet hook.